Empowering You. Perfecting Your Smile. Unleash the power of a beautiful, healthy, and bright smile. We use preventative, minimally invasive, and conservative dentistry to keep your smile as natural as possible. 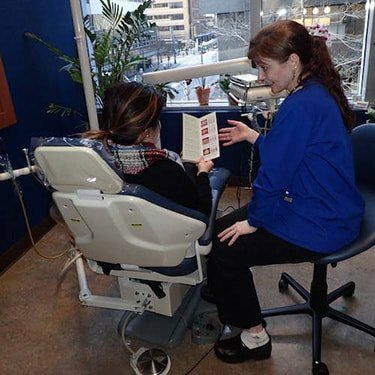 With our Seattle dentist, experience dentistry that is overflowing with the latest dental technology, caters to your individual needs, and is completely lecture-free (that's a promise!). 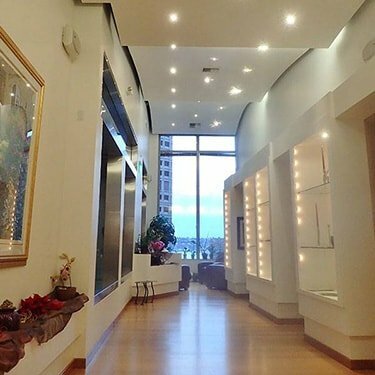 Our dentist office in downtown Seattle brims with personality, home-style comforts, and a warm, friendly atmosphere. We promise to make sure you are our sole focus during your visit. You are our priority! Experience the latest in cutting-edge dental technology that produces results that truly delight. Feel empowered with the knowledge you need to overcome and prevent common dental issues. 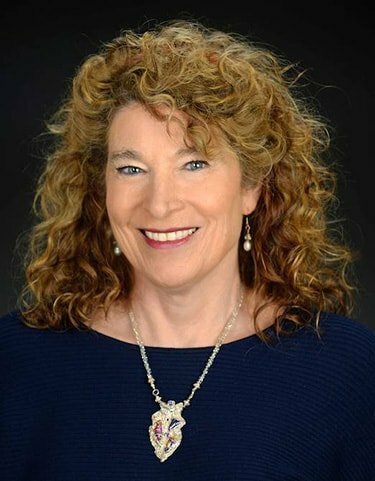 Meet Dr. Kathy Curtis. Your caring and skilled Seattle dentist. 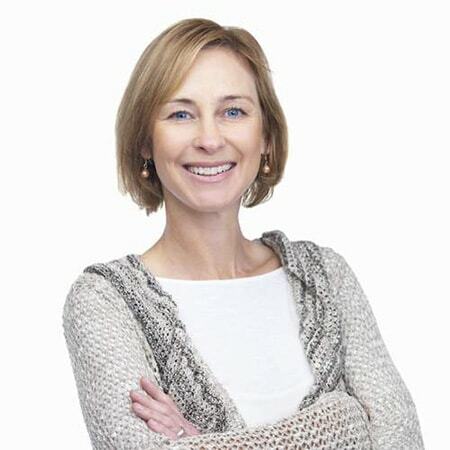 With over 27 years of experience, Dr. Kathy Curtis intertwines skill with genuine care to produce exquisite, long-lasting dentistry, all in a tranquil spa-like environment. Graduated from the University of Texas-San Antonio in 1983 (one of the top dental schools in the nation). 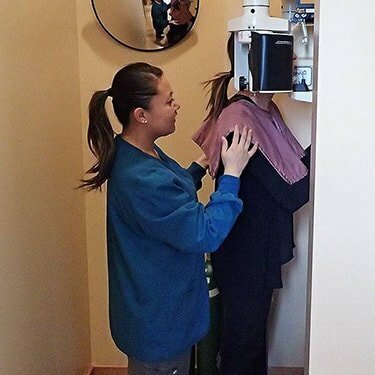 Over 27 years experience practicing dentistry in Seattle. Top Seattle Met Dentist 2014, 2015, and 2016. Recharge your smile! Enjoy top-notch service coupled with modern, innovative care that goes the extra mile by providing expert, personalized care. 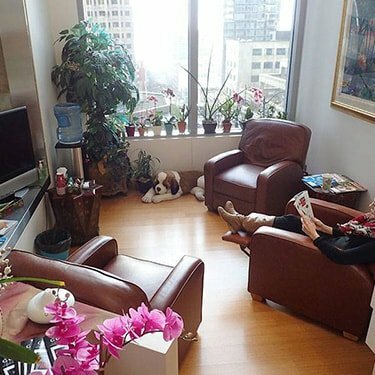 All from the comfort of our downtown Seattle dental office. Select your perfect solution from our stellar Seattle dental services. Are you ready for the revolutionary orthodontic treatment that will have you smiling from start to finish? Do you find yourself hiding your teeth when you talk? Are you self-conscious about your laugh because of misaligned teeth? Discover how Invisalign® clear aligners could be the metal-free and embarrassment-free solution for you. 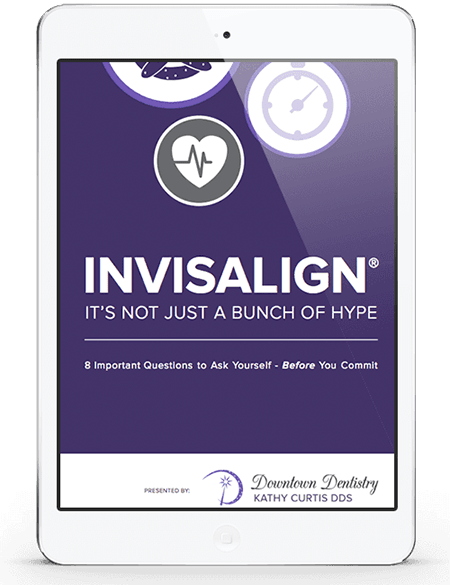 Download our FREE eBook to get the answers to the top 8 questions about Invisalign®. Ready for a brand new dental experience? Book your appointment to meet our supportive and lecture-free team today. Did you enjoy your visit with us? Please leave a review and share your thoughts – it will take two minutes. Underground parking and walking distance from the light-rail.